The MacArthur Justice Center formed a coalition of attorneys, community organizations and individuals to file a historic class action lawsuit seeking federal court oversight of the Chicago Police Department’s (CPD) operations on behalf of thousands of individuals, predominately Blacks and Latinx, who have been subjected to the CPD’s policy and practice of using excessive force, sometimes in racially discriminatory and brutal ways. The Campbell Plaintiffs include four individuals and 10 community-based organizational plaintiffs: Black Lives Matter Chicago, Chicago Urban League, Blocks Together, Brighton Park Neighborhood Council, Justice for Families – Black Lives Matter Chicago, Network 49, Women’s All Points Bulletin, 411 Movement for Pierre Loury, and the West Side Branch and Illinois State Conference of the NAACP. 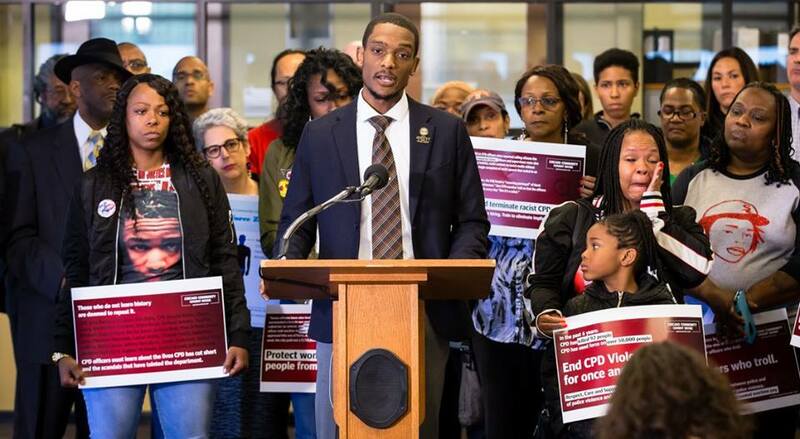 The community-driven coalition released their comments focused on systemic policy reforms of CPD and the City’s 911 operations to prevent excessive force against Black and Latino Chicagoans and people with disabilities. The coalition emphasized guaranteeing the enforceability and transparency of reform, diverting people—including people with disabilities– away from the criminal justice system and ensuring that whenever possible, police eliminate the need for force, including in schools. 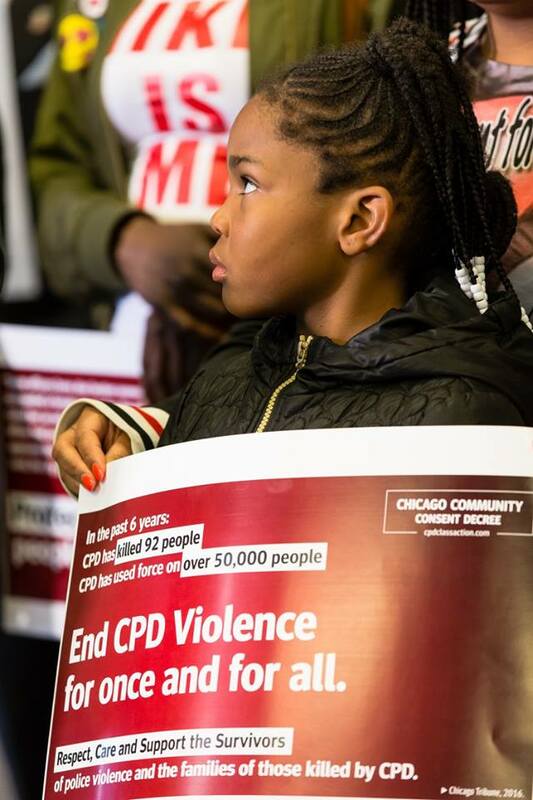 The Campbell v. City of Chicago groups identify ten demands that must be reflected in the final consent decree. That document can be read here. The Campbell community coalition, together with the community plaintiffs behind Communities United v. City of Chicago, filed by the ACLU of Illinois and Equip for Equality, reached an historic agreement with the City of Chicago and Illinois Attorney General. The agreement allows plaintiffs to monitor the consent decree currently being negotiated, and specifically gives those groups rights to enforce the forthcoming consent decree to reform the CPD. Who Can Reform the Chicago Police? The Chicago Police Department’s brutality ruins the lives it doesn’t end. I was beaten and falsely charged with crimes I did not commit for no other reason other than I’m Black and spoke out against police brutality. But I survived my encounter with CPD, unlike so many others. And I’m bringing this lawsuit to help stop police brutality in Chicago for once and for all.